June 29, 2014 April 22, 2015 by Audra K.
Now this was something truly special! 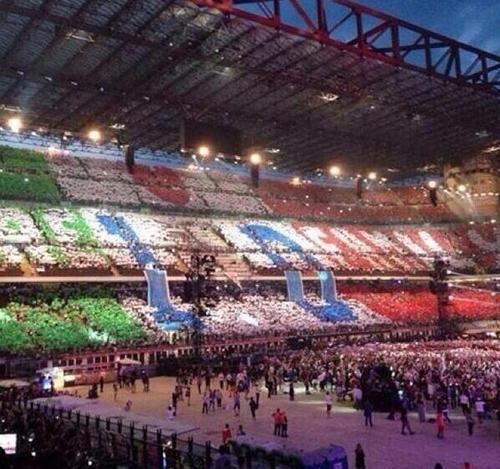 The fans held up color paper to spell “We are 1D family” it looked spectacular!! Milan’s concert will be featured on the DVD that will be available later this year. Fan’s waiting to get in the Stadium Saturday June 28th. 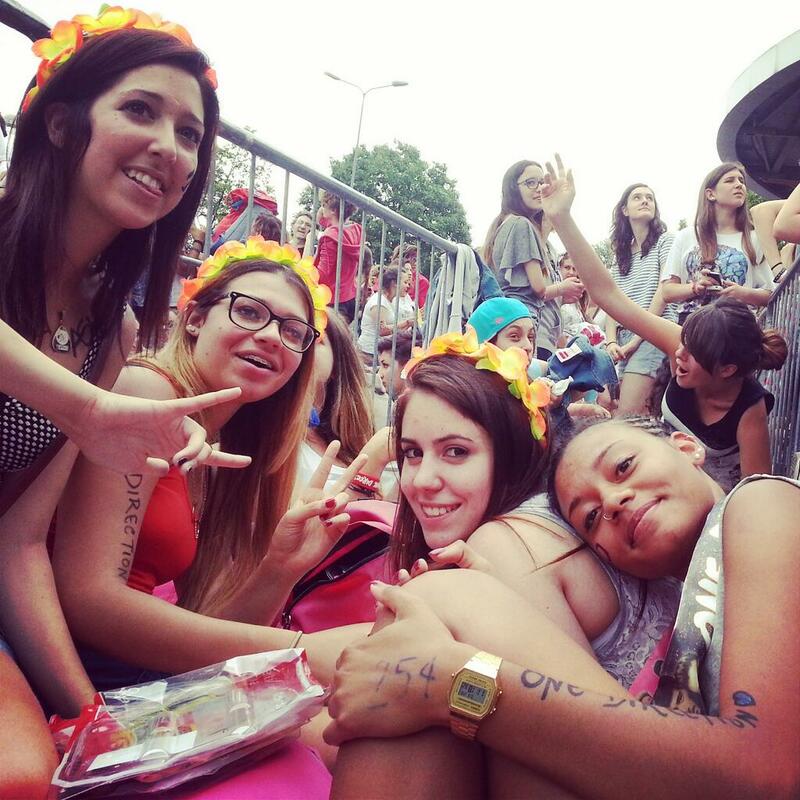 Previous HELLO…we go to see 1D because we love them….why throw stuff at them on stage – it HURTs! !